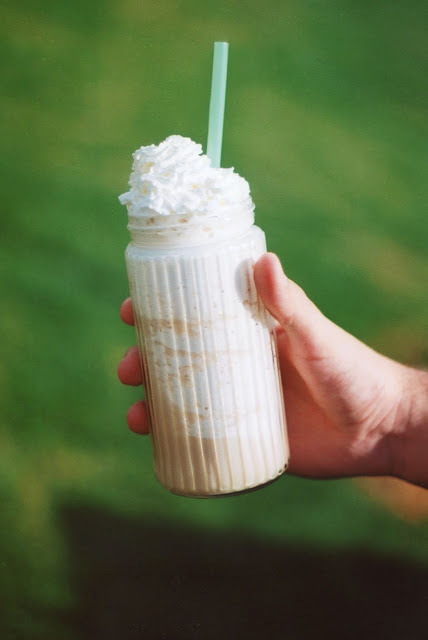 Making iced coffees and frappés is so simple, that I just assumed that everybody and their dog knew how to make them. But when I asked on Twitter, it turns out a lot of people don't, and were in favour of me posting a tutorial! Another thing a lot of people probably don't know, is that I am actually a fully trained Barista! I'll start with the difference between iced coffees and frappés. 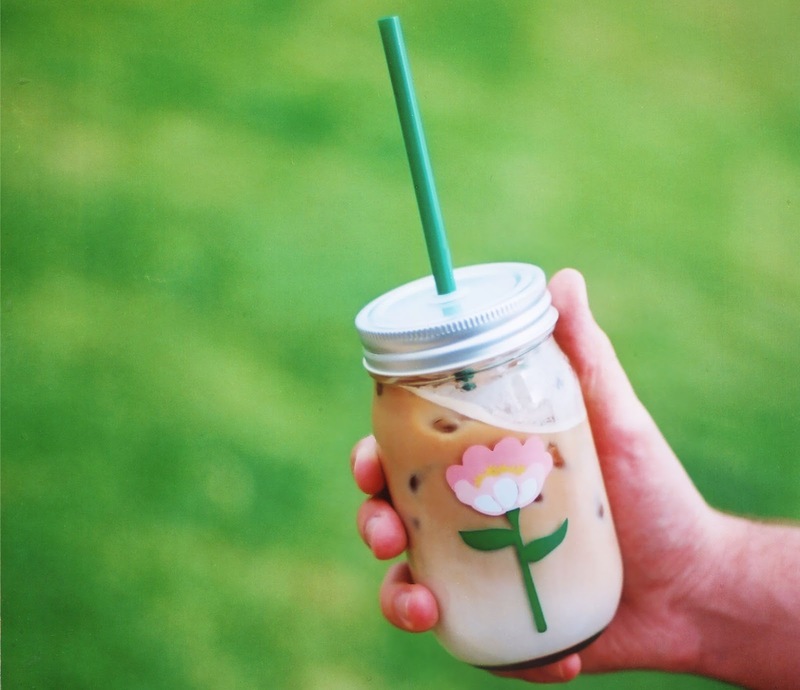 An iced coffee is literally coffee over ice, not blended. Whereas a frappe is coffee and milk blended with ice. The beauty of making these drinks at home is that you have a lot more flexibility, the strength of the coffee, how milky you like it, how sweet, syrups etc. Now onto the recipes! 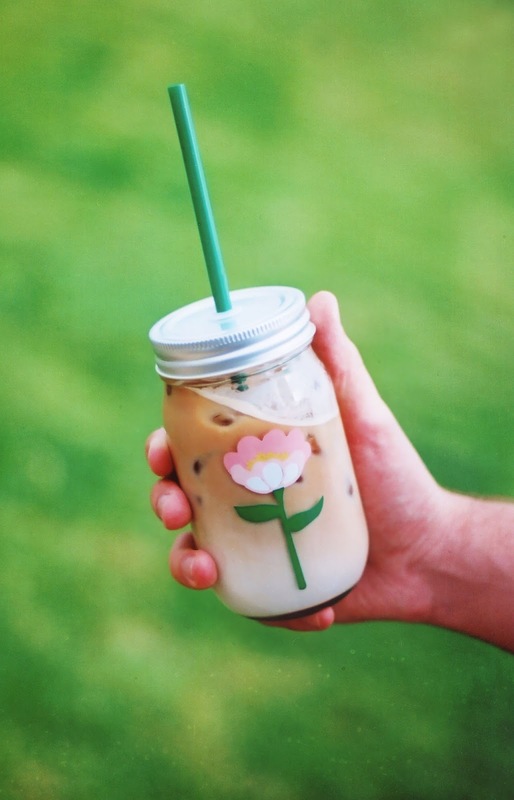 1) Take a cup (I prefer a glass, iced coffee just looks so much better in a glass). Fill it 3/4 with ice. 2) Fill with milk to the same level as ice. 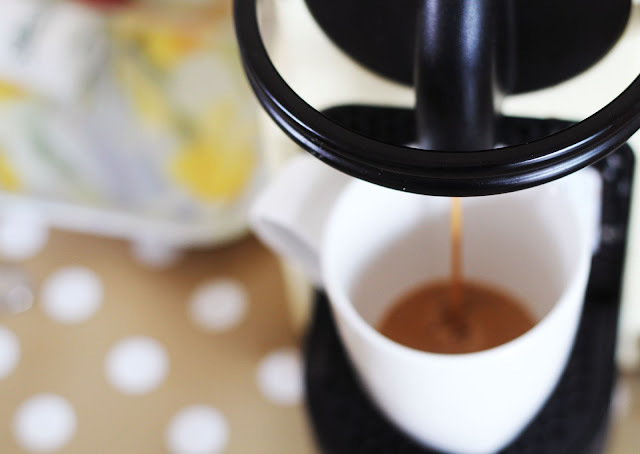 3) Take a shot of espresso - as many as you want depending on how strong you like your coffee. The general ratio I used whilst working as a Barista was 1 shot for small size (around 250ml), 2 shots for medium (330ml) and 3 shots for large (500ml). 4) Whilst the espresso is still hot (I do it whilst it's dispensing from the machine, so that the pouring motion acts like a stirrer) add any sweeteners or flavour syrups you'd like, and stir to dissolve it. 1) Start with the cup you're going to be drinking out of. Put the ingredients into it, rather than straight into the blender, so you know that the finished product will fill the cup. 2) Fill your cup with ice to the top. 3) Fill your cup with 3/4 milk. Then add to blender. 4) Take a shot of espresso - as many as you want depending on how strong you like your coffee. The general ratio I used whilst working as a Barista was 1 shot for small size (around 250ml), 2 shots for medium (330ml) and 3 shots for large (500ml). 5) Add the espresso to the the blender. 6) Blend until it's got a slushy consistency. 7) If the ice is not blending well, add more milk. Likewise, if it's too watery, add more ice. After all, it's how you like it. 8) Pour into cup and add whipped cream if you choose to! The trick to whipped cream is to apply it in a zig-zag formation. Side note: If you want to make an iced cappuccino, the process is exactly the same but: use full fat milk at least for the foam - I hate to admit it but it does froth better than skimmed. Use an extra shot of espresso than you would normally (cappuccinos are stronger than lattes), and you will need some way to steam (froth) the milk. Use just a little milk in the steamer/frother, and once it's foamed, scrape it out with a spoon and dollop it on top of the otherwise finished iced drink. This sounds so easy and is a wonderful beverage! Love coffee , cappuccino and latte only ever had them hot though .Don't think I'd like cold but iced could be nice and refreshing. Yum! defo going to try in the summer! Fab for the summer, if it ever comes. I adore your presentation of these: so beautiful! This is a really helpful breakdown of the terms and process, thank you :). Sound just perfect for this warmer weather! 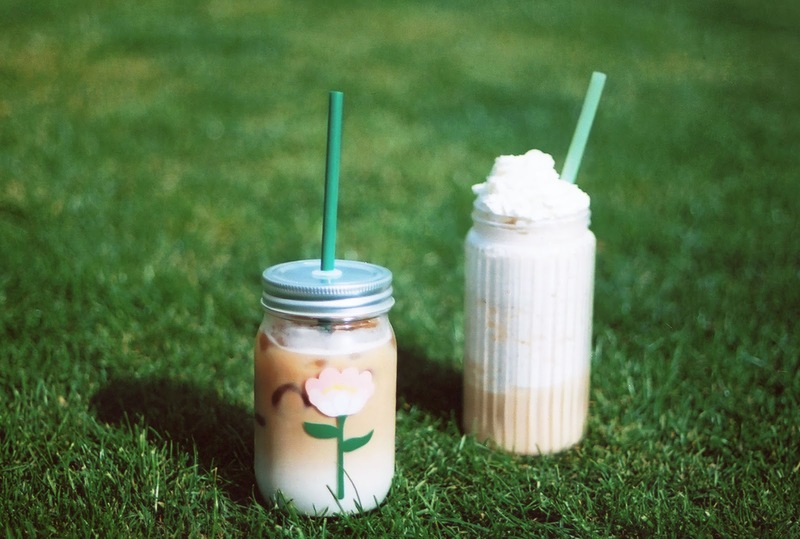 Brilliant article, i genuinely had no idea what the difference between an Iced coffee & a frappe! Skincare Empties | What Will I Repurchase? March Favourites | Beauty, skincare & haircare!